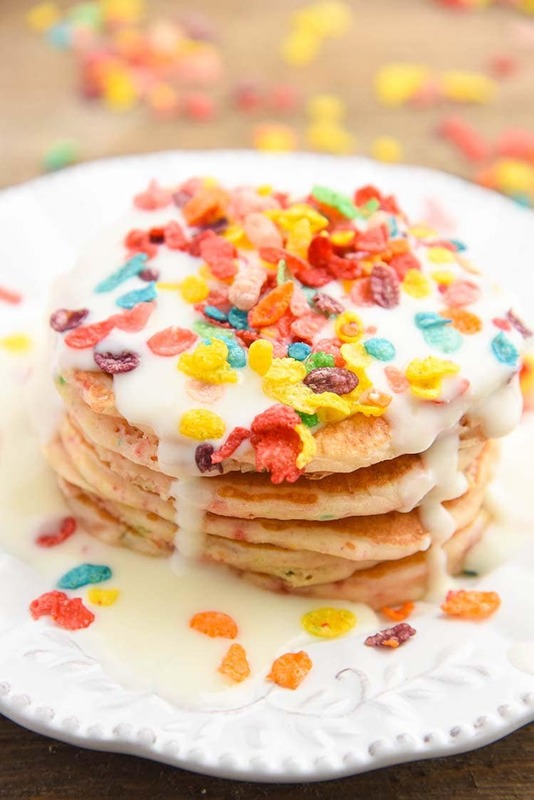 This Fruity Pebble Pancakes Recipe is perfect for Sunday breakfast and of course fun back to school breakfast too. 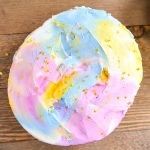 This recipe is sponsored by Post Foods. 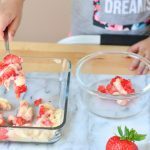 My mini chef has been under the weather the past week, she caught strep, and it was the nasty kind with a rash, Scarlet fever! Thankfully within two days of taking the antibiotic, she was feeling back to her normal self. 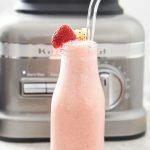 I couldn’t wait to make her a fun and delicious breakfast! 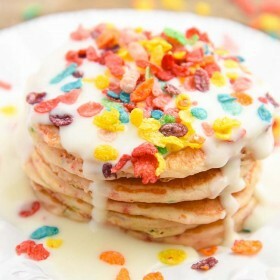 She is obsessed with cereal, but she wanted pancakes for breakfast, so what better way to combine her two favorites!! 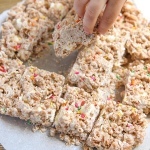 We ate them with regular syrup and then tried it with a cream cheese syrup.. oh my goodness – both ways are good! 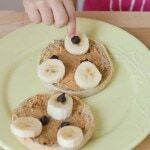 Mom and dad can enjoy this pancake recipe for kids to help in the kitchen. It’s a great way to cook together! 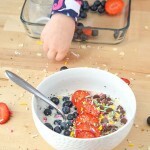 My mini chef had a blast crushing the cereal for our pancake batter. To be honest.. we even ate some of the pancakes without syrup. They are pretty amazing without it! 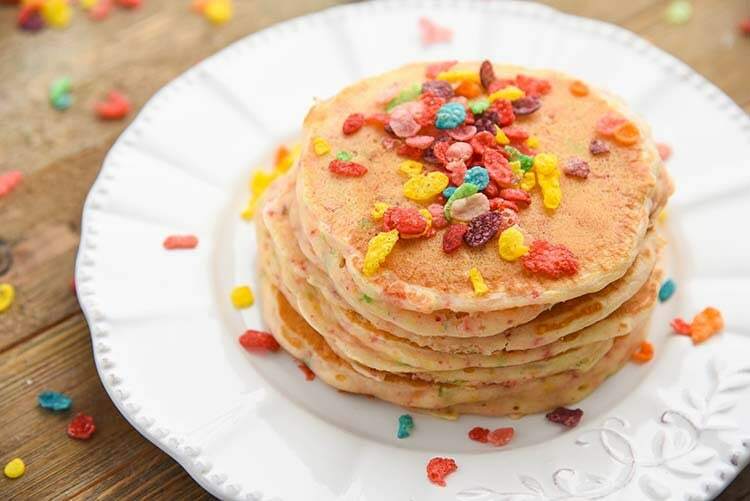 I love the Fruity Pebbles Cereal flavor throughout the pancake. 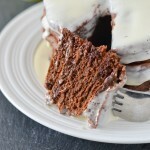 It’s a flavor I grew up with and its memories in a pancake for me! 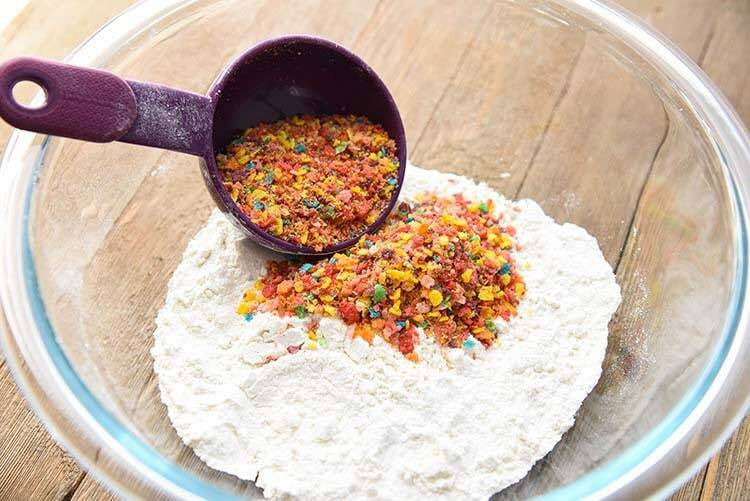 I started off with our simple pancake recipe that we use for our Sunday morning breakfast and added the crushed Fruity Pebbles. I allowed it to sit for 2-3 minutes so that the baking soda could do its thing and also the cereal can soften in the batter. 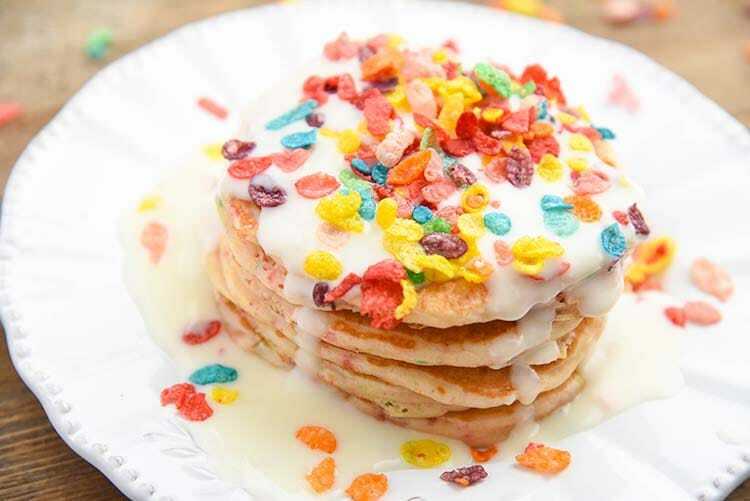 This Fruity Pebble Pancakes Recipe is great for Sunday breakfast and of course a fun back to school breakfast too. 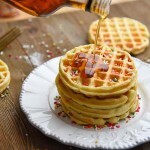 Heat a skillet with butter and place pancake batter on once hot. 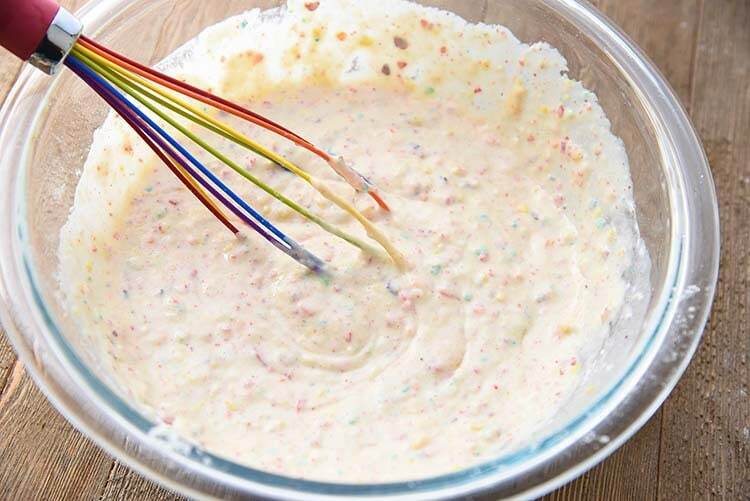 Cook pancake on one side until bubbling on top, then flip. Cook pancake on other side until golden brown and then serve.